You know your non-profit organization needs a website. Or perhaps that outdated old site built years ago is in bad need of an upgrade. A good website for non-profits is essential to a organization’s success as it can help with fundraising, build public awareness, keep your members and supporters up to date with your group’s progress, and more. Here at Z-Dog Media we’ve created websites for several nonprofit organizations and consulted with others to help them create their own websites. One common thread most all non-profits share is a need to keep spending to a minimum. Website for Non-profits: What Is Your Goal? This is usually a pretty easy question to answer as most non-profits want to educate others about their cause, and raise money. Both of these goals are easily accomplished with a well thought out and organized web site. For most website builders the choice will now come down to a DIY website builder (our favorite is Wix), or creating a WordPress website, which is still simple, but not as simple as Wix. While we will cover both in this article, for most small nonprofits a DIY website builder like Wix will fulfill all their needs at an affordable price. See our Wix vs WordPress article for more details. 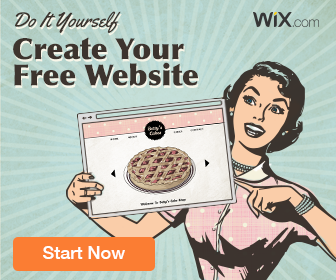 Wix offers free and low-cost web site builder software. No coding skills are needed to create beautiful, professional, highly functional websites through Wix. 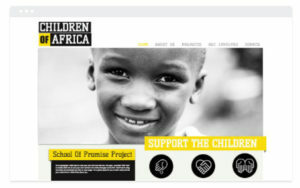 One of the best features Wix offers is its array of templates custom designed for non-profit organizations. These templates make great starting places to build a site that reflects your charitable organization’s brand. Don’t worry about your site looking like a cookie cutter of everyone else’s, Wix allows you to easily change colors, fonts, styles, graphics, and more. When we made the website for Orange County NORML (www.orangecountynorml.org) we started with Wix’s “Feed the World” template for nonprofits. As you can see from the photos below, by the time we finished the two look similar, yet they are very different. We also added a membership form where people can sign up online and submit membership payment, and by changing the images and color scheme we are able to maintain the site structure and flow yet make it uniquely their own. Wix provides easy to follow instructions to add forms that can link to your PayPal account for online payments or donations. You can also add a meeting and event calendar, a blog, online reservations, an online store, and many other optional features. Best of all Wix takes care of a lot of the details you would have to individually manage elsewhere. For about $15 per month, give or take depending on optional features, all your website hosting, domain name management, and website site security are bundled with the Wix service and apps, freeing more of your time to work on your non-profit. Depending on the complexity of your website, you can have a professional, functional non-profit website up and running in a matter of hours! While a Wix site will fit most small organization’s needs, larger groups or those who with custom programming needs for their website might want to consider a WordPress site. This will offer you more functionality, such as increased membership services or database manipulation. WordPress is the #1 content management system (CMS) used on the internet so it has a lot of support from web site hosts and programmers alike. There are plugins and themes that will help you build a custom website that exactly meets your specifications. A WordPress site offers greater design and display functionality. 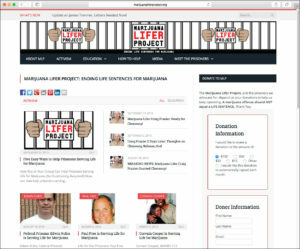 For instance, the Marijuana Lifer Project, an organization that advocates for prisoners serving Life Sentences for marijuana, wanted the public to see the names and photos of the prisoners on the homepage and throughout the site. WordPress functionality made this easy. WordPress is free to use but unlike Wix it is not all-inclusive. You will need to find a host to serve your site. We use BlueHost for our sites. BlueHost will provide you a place to store your nonprofit website and make it available on the World Wide Web. The level of services provided varies upon your needs. BlueHost offers WordPress users exclusive hosting plans starting at just $19 per month. With this type of plan everything you need to make your non-profit website secure, easy to use, and extremely fast comes standard. However you will still need to build the website itself. A WordPress route is generally more expensive and takes a bit more skill than building a Wix site. Our Wix vs WordPress article can give you more details. No matter which route you choose, Wix or WordPress, rest assured knowing your site is on a solid and stable platform with enough flexibility and support to promote your non-profit and help drive donations. Neither are difficult or expensive to build or maintain. So why are you waiting? Take your cause and nonprofit organization to the next level and build your own website!